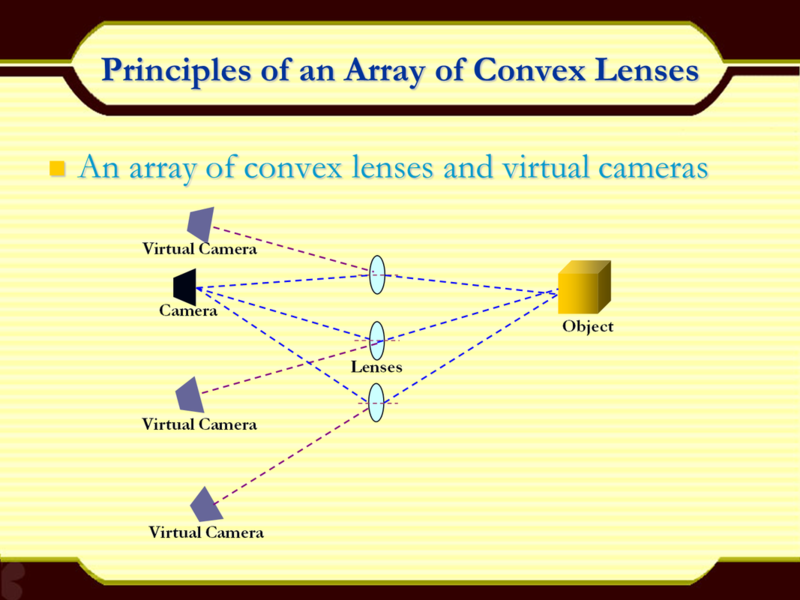 The project was to research and find a cheap method to capture images of an object from many different views because it is very expensive to take multiple photos of an object from many different physical positions. 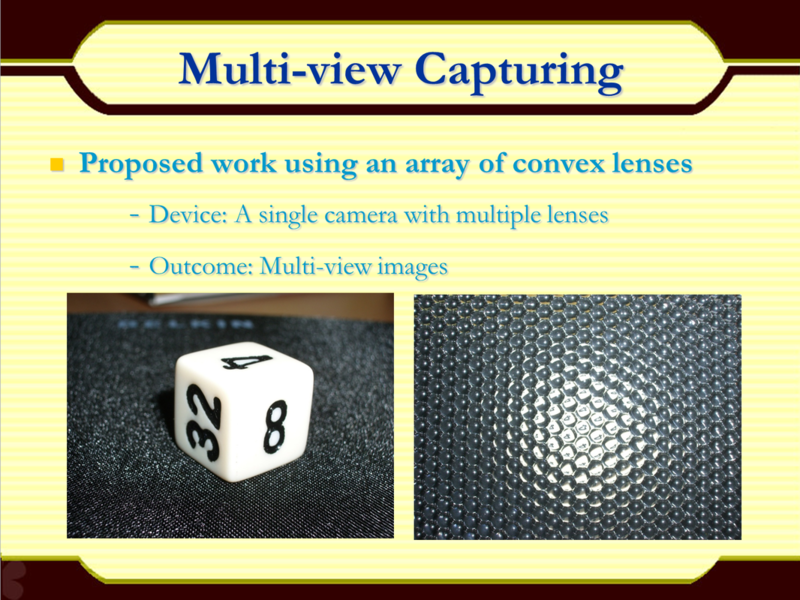 The goal was to find a method with good enough resolutions so that a 3D image could be reconstructed through the captured images. 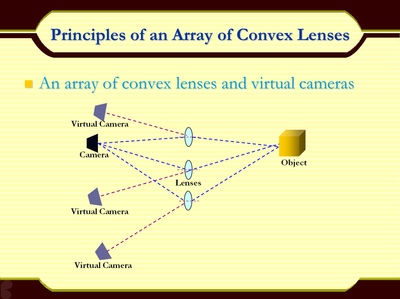 An array of convex lenses have been chosen to be placed in the middle of a camera and an object so that each lens could function as a virtual camera. 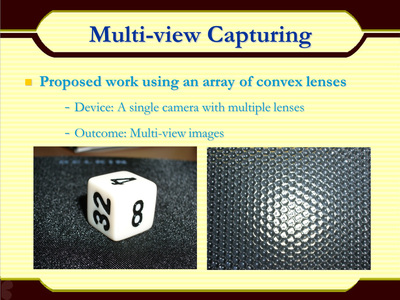 The approach was highly efficient in a sense where it can capture multiple images with a single shot of a camera; however, due to the small size of each image captured from the lenses, high quality 3D images weren't able to be reconstructed.